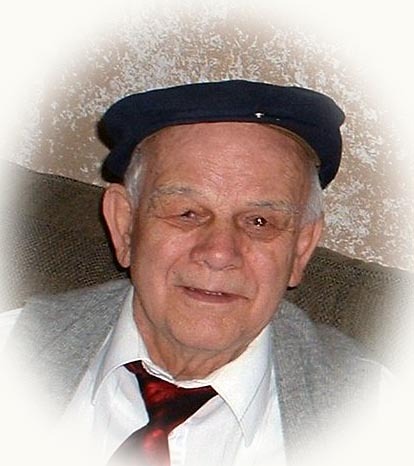 Obituary for Warren H. Stehman Sr. | Sheetz Funeral Home, Inc.
Warren H Stehman Sr., 97, of Mount Joy Pennsylvania, went home to be with his Lord and Saviour Jesus Christ on Tuesday, April 10, 2018. He was the husband of Dorothy “Dottie” I. (Keener) Stehman for 67 years until her death in July 2008. He was loving and attentive and cared for her in their home through many years of dementia. Warren was born and lived most of his life in the same neighborhood in The Village of Florin, Mount Joy Borough. Born on April 7, 1921, he was the son of the late Clayton Bender Stehman and Rhoda Mae Hersh Stehman. Since March of 2013 Warren has lived at Longwood Manor, Maytown. Warren served in WWII in the Okinawa Campaign; he was PFC with the Company I, 3rd Battalion, 5th Marine Regiment, 1st Marine Division. Prior to the war he drove milk trucks for Mumper’s Dairy in Etown, and Harrisburg Dairies. In the late 1940s to early 1950s Warren was known for driving his yellow school bus grocery store route, Stehman’s Green Grocer, throughout the countryside of northwestern Lancaster County. Much of his life he was a carpenter by trade, known as Warren Stehman and Sons and during that time he built three homes in the Mount Joy area and did remodeling, repairs, and construction throughout Lancaster County for about 15 years. Warren graduated from Lancaster School of the Bible in 1976 with a Teacher’s Certificate in Biblical Studies. His favorite “occupation” was the years that he and Dottie served with Campsite Evangelism, sharing the Gospel of Jesus Christ every Sunday morning at Tuscarora Creek Campground in Juniata County and then for many years sharing Christ with the sugar cane migrant workers in the sugar cane fields of south Florida – their second home being in Sebring, Florida. Warren loved to always be going and one of his earliest excursions that he enjoyed talking about was around the age of 16 when he took off and rode the rails into western PA with the hobos. He mailed a large manila envelope to a general delivery address in his own name and would arrive before the envelope and have it forwarded… till he returned home months later he had an empty envelope covered with addresses and forwards. Mother always liked to tell the story that “the longer he was gone, the more frequent the postcards” to her. In recent years Warren was a common sight riding around Mount Joy on his scooter with his flags: the Christian, the Marine, and the flag of the USA. Warren has been a member of Faith Bible Church, Rheems since December 2006. Previously he served for many years at Calvary Bible Church, Mount Joy, being a charter member there when it was downtown and called the Mount Joy Tabernacle. Warren is survived by four children: Barry (Janet Stone), Lindale TX; Linda (John Good), Elizabethtown; Warren Jr. (Sandra Shay), Mount Joy; Nancy Angelini, Manheim; 14 grandchildren – Jimmy, Bronda, Jimmy, Greg, Hettie, Robin, Matt, Mimi, Marc, Michael, Anton, Lawrence, Sindia, and Aimee as well as 13 great-grandchildren – Dustin, Reagan, Mattie, Victoria, Cole, Addelyn, Johnny, Mollie, Caleb, Brayden, Emma, Rebecca, and Caleb. In addition to his wife and parents, Warren is predeceased by a daughter Carol Longenecker, his sister Elizabeth Baughman, his brother Jacob Stehman, and two sons-in-law James R. Byers Sr. and Stanley Longenecker. A funeral service honoring Warren’s life will be held at Faith Bible Church 2075 Harrisburg Pike, Mount Joy on Saturday, April 14, 2018 at 11 AM. Family and friends will be received at the church before the service from 10 AM to 11 AM. Interment will follow at Cross Roads Cemetery. In lieu of flowers, memorial contributions may be made to Faith Bible Church, 2075 Harrisburg Avenue, Mount Joy, PA 17552.